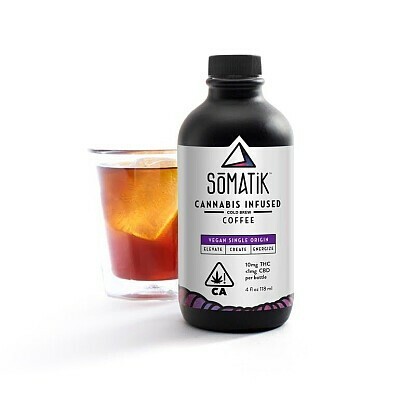 Our mightly little Coffee Shot is a delicious, ready-to-drink, single-origin coffee that is infused with the perfect ratio of cannabis for a quick pick me up. The 4oz size is perfectly portable and infused with 10mg of pure THC so you can throw it into your bag and sip it, spike it, or shoot it anytime you need a boost. We designed our coffee to help reduce stress and anxiety and to enhance a sense of well-being. Our infused coffee is faster acting and more bioavailable than other edibles giving you a clear and euphoric mind and relaxed body. The hybrid THC, combined with the naturally-occurring caffeine from the coffee, gives a more Sativa-leaning feel. We partnered with Ritual Roasters in San Francisco to source an organic, Columbian coffee harvested from the Gigante region, and we made sure that coffee is the starring flavor rather than the cannabis. Our proprietary infusion process ensures that the THC is evenly distributed and doesn’t separate so you know that your first sip is always the same dose as your last.